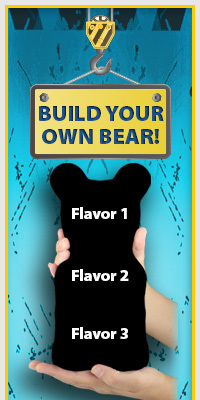 It's always convenient to order from GiantGummyBears.com because we never close! We can ship products just about anywhere. if you experience problems placing an international order, double-check your postal code or send us a message. Please note that any duty and tax charges will be charged to the recipient. We try our best to process and ship every order the same day it comes in so that any sweet-tooth will be satisfied just as quickly as possible. However, during times of high demand (holidays or when a TV show runs featuring our products) it may take up to 3-5 days to send out your order. If you place your order at the end of the week, we might ship out on Monday so that your gummies don't have to sit in a hot delivery warehouse over the weekend. Depending on order size, availability, destination and seasonal temperatures it is normal to expect between 4-to-7 business days for U.S. delivery (a little longer during peak holiday shipping times). USPS and Fedex tracking information is provided for all orders within the United States.